USMCA Signing Tomorrow - An Underwhelming Event ? The G-20 Leaders Summit occurs tomorrow, November 30, 2018 in Buenos Aires and from what I have read, so far there will not be a large planned ceremony. In fact, according to CBC News, one day before the Summit begins, “Officials don’t know yet who will sign the pact. And they haven’t said exactly when, or where, it’s going to happen.” Although Prime Minister Trudeau wanted to see steel and aluminum tariffs lifted before the signing of the event, the USMCA will still be happening… maybe with some cringing along with it. Katie Simpson with CBC News thinks the U.S. – China trade relations battle and the presence of Saudi Arabia’s Crown Prince Mohammed bin Salman will be just a few of the minor disruptions that could take away from USMCA signing ceremony. What’s interesting is that the final text still hasn’t been finalized. There are several issues still at hand and it’s uncertain that all three countries agree on what they are signing. 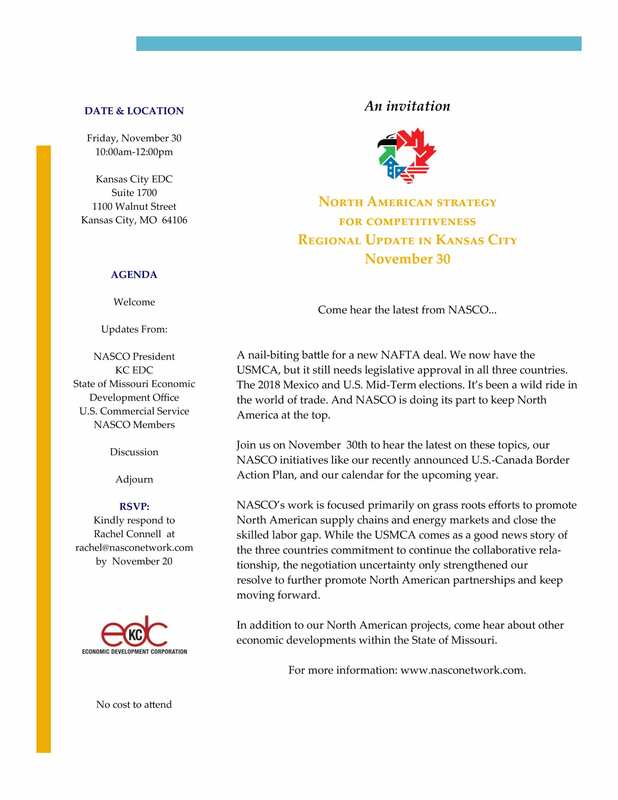 It will be interesting listening to Tiffany Melvin, President of NASCO, tomorrow at the NASCO Regional Update.